Last week saw the launch of this great little guide to the best places to buy cheese and wine in London. You often see small sections in guide books on where to buy good food and drink, but it's weird that that no-one has thought to do something more specific and comprehensive before. It seems like such an obvious good idea. 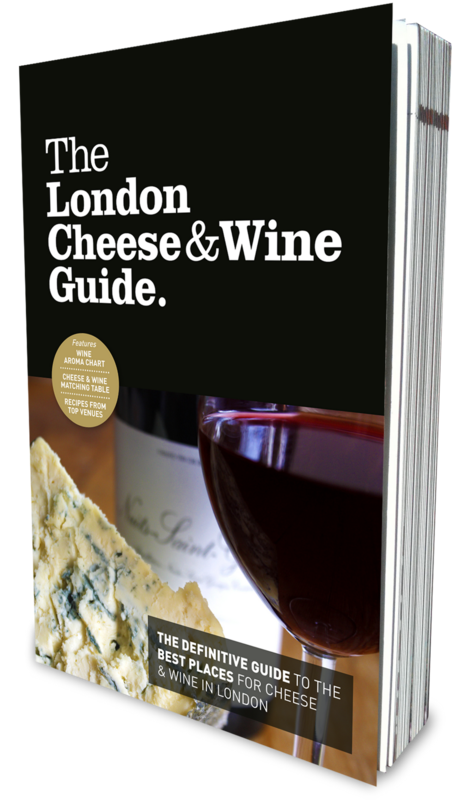 The book is split into sections on cheesemongers, delicatessens, wine merchants, wine bars and food halls with concise reviews and photos of the venues, plus useful information on prices, types of cheese and opening hours. My favourite sections were dedicated to the best cheese stalls at London markets (it must have taken the editors Lucy Gregory and Jeffrey Young ages to put that bit together), as well as a nice selection of restaurants that do good cheeseboards, such as Le Gavroche, Medlar and Brawn. Some of the chefs have also supplied some excellent cheesey recipes like Baronet and Cauliflower Bavarois (The Square) and Parmesan Biscuits (Chez Bruce). The book was launched at Harrods, which not surprisingly appears in the Food and Wine Halls section (its cheese counter stocks around 135 cheeses apparently), with some interesting cheeese and wine matches from Gregory and wine writer Matthew Jukes (pictured below), who has also contributed to the book. The standout tipple was a 2008 Chablis (Pinson Grand Cru Les Clos), which was full of zest and minerality, and was just too good for the Beaufort. There was also an amazing sherry-like Vin Jaune from the Comte region, served with some 24-month aged cheese. I really liked a mysterious blue cheese soaked in alcohol (red wine?) called Blue 61. I can't tell you anymore about it, except that it was rich, creamy and boozy, and probably Italian. 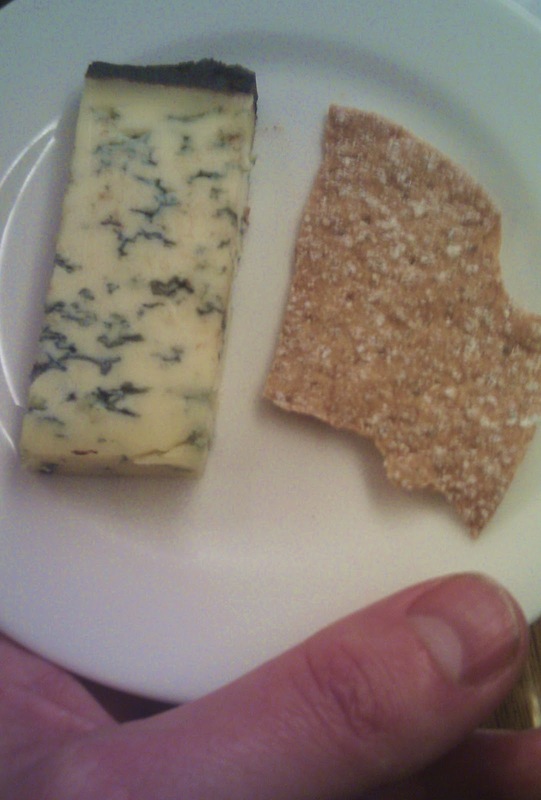 There was also a strange 'Dolce Blu' cheese (pictured), which had been matured in whiskey and was covered in chocolate. I love chocolate, whiskey and cheese, but just not all at the same time.